what a football weekend we had. 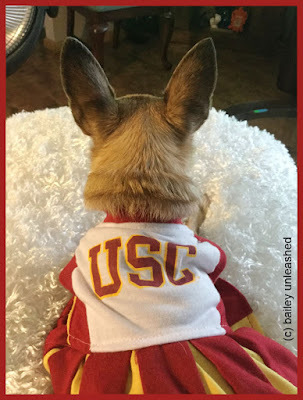 bailey roots for two teams, the denver broncos and the usc trojans, and they both played this weekend. sunday, bailey watched as the denver broncos crushed the oakland raiders. then yesterday, the trojans and penn state would meet in the rose bowl. 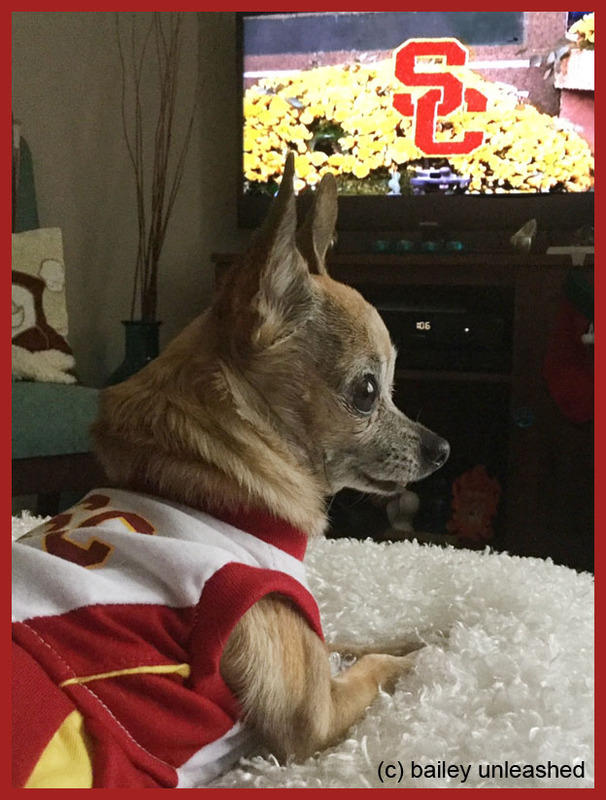 bailey eagerly awaited the game as she watched the rose parade go down colorado blvd, from the comfort of our living room of course. what a game and what an ending! 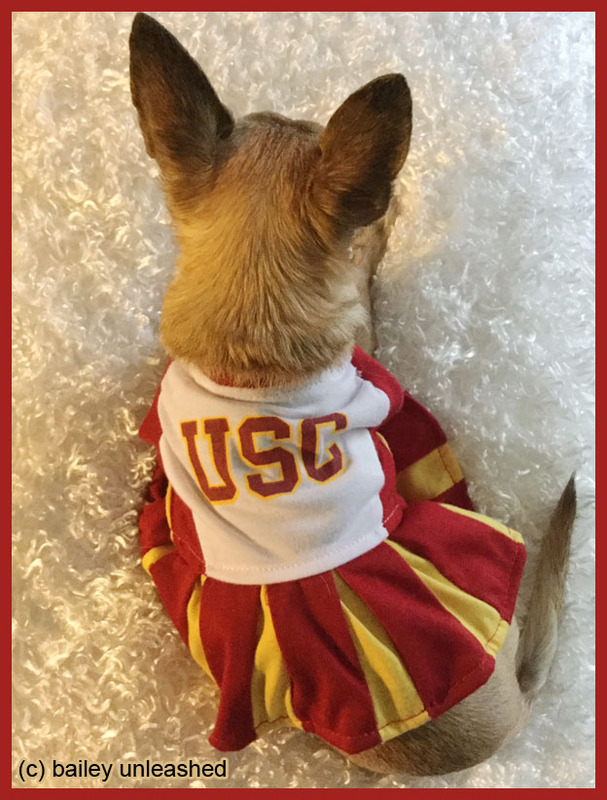 the score was tied at 49, with 5 seconds left in the game and usc had the ball. they decided to attempt a field goal. would they go into overtime or would they win the game? it would all be decided in the next few seconds. bailey nervously looked on as matt boermeester kicked the ball. the kick was good and they won the game 52-49! fight on!